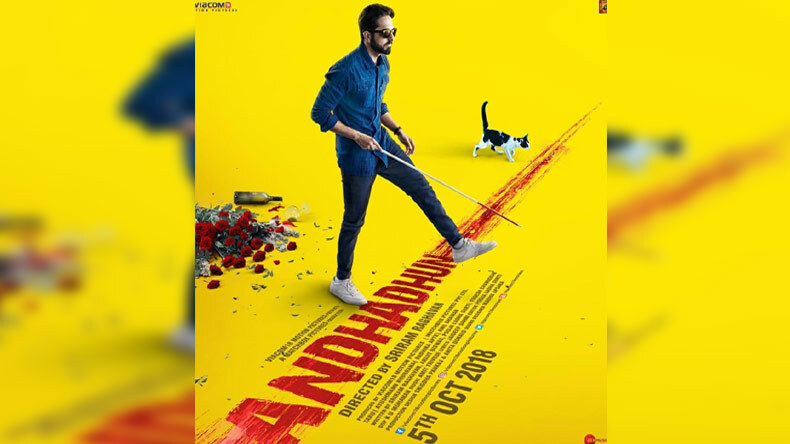 Andhadhun trailer: The much-anticipated trailer of Ayushmann Khurrana and Radhika Apte-starrer Andhadhun has released today-September 1. In the film directed by Sriram Raghavan and bankrolled by Viacom 18 Motion Pictures, Ayushmann will be seen essaying the role of a blind pianist. The film is slated to hit the screens on October 5, 2018. After raising excitement among the audience with intriguing posters and the title of the film, the much-anticipated trailer of Ayushmann Khurana, Radhika Apte and Tabu-starrer Andhadhun is all set to release today- September 1, 2018. Helmed by Sriram Raghavan and bankrolled by Viacom 18 Motion Pictures, Adhadhun marks the second collaboration of Sriram and Radhika after Badlapur. In the film, Ayushmann, who has previously starred in films like Vicky Donor, Bareilly Ki Barfi, Dum Laga Ke Haisha and Shubh Mangal Savdhaan, will be seen getting out of his comfort zone and essay the role of a Blind Pianist. All praises for Andhadhun director Sriram Raghavan, Ayushmann stated in an interview that he is a huge fan of the filmmaker’s work as he has given Indian cinema one of the best thrillers. He added that it is an honour for him to work with Sriram in Andhadhun as it is an edge of the seat roller coaster and with this film, he has rediscovered himself as an actor. Speaking about the title of the film, Sriram said that the film earlier titled as Shoot The Piano Player but they had to change it as the producers wanted an English title. On being quipped about opting for Ayushmann as the Blind Pianist, he stated that despite Ayushmann’s knowledge of music, he had to train rigorously for the film. Earlier scheduled for a theatrical release on August 31, 2018, it had been later postponed to October 5, 2018. After Andhadhun, Ayushmann Khurana will be seen in his upcoming film Badhaai Ho opposite Sanya Malhotra. Meanwhile, Radhika Apte is currently garnering praises for her performance in Netflix series like Ghoul and Sacred Games.